On June 4, 2014, a focus group study was held in Sacramento, California to specifically understand how customers (restaurant chefs and owners and dietitians and school foodservice directors) shop for and use canned fruits and tomatoes. The purpose of this focus group study was to better understand their product perceptions and determine how our company can better serve their specific requirements. 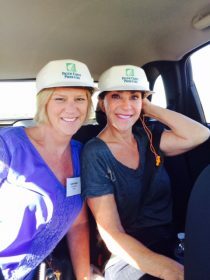 It was a memorable day for our Sales staff, and we hope to pass our learnings along to our customers. One finding from the day was that restaurant owners and chefs rely on canned tomatoes. It is a critical ingredient they cannot survive a day without. Implication: Authentic, reliable, consistent canned tomatoes are a critical component of the restaurant preparation process. Gaining a more in-depth understanding of this need will help suppliers and processors develop unique product that meet the needs of Foodservice providers. Another finding of the day was that the end user in the Foodservice Fruit channel may not be a fan of canned fruit, viewing it as cheap and not good for them. Nutritionists know the value of canned fruit and are a supporter of serving . Implications: There is a resistance to canned fruit among the nutritionists end user. Schools are being pushed by parents to eliminate any kind of ‘processed’ foods. In the minds of these consumers, it is valuable for meals to be prepared ‘fresh’. Kids will eat and do like canned fruit. Parents are the biggest challenge in schools as they view canned fruit as ‘processed’. In the hospital/care environment, canned fruit is not viewed positively. Our new 500,00 square feet warehouse is now up and operational. This new warehouse helps reduce movement of stock and dents. We also installed a new label and can verification system to reduce possible mislabeling. 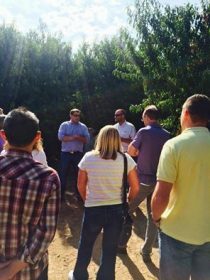 Justin Micheli and Anthony Laney, PCP Peach Growers hosting a Peach Orchard Tour! This consumer focus group was held to specifically understand how consumers shop for and use canned fruit and canned tomatoes to better understand how we can better service their needs. Canned Tomatoes are an essential part of every consumer’s kitchen. Implication: Tomatoes are an ingredient that consumers seek out in their everyday shopping trips. Canned tomatoes are a staple in consumers pantry’s and used in many recipes. These consumers try to also maintain a healthy diet for the entire family. Consumers are aware that the canned fruit section has changed in the past year with new “healthier” items on shelf. Implications: As consumers are trying to find healthier choices for their diets, they are trying to increase their fruit consumption. However, they are still skeptical of canned fruit. Canned Fruit is not seen as a replacement for fresh fruit but as a snack that moms and their families consume regularly. Implications: Canned fruit is viewed a separate purchase from fresh and has a different use occasion. Consumers tend to mix canned fruit with other items for themselves, for a meal or snack. Research Findings from the University’s Department of Nutrition Show a Link Between Increased Peach Consumption and a Reduction in Certain Breast Cancers: The Latest of Several Studies Proving the Health Benefits of Canned, Fresh and Frozen Peaches! 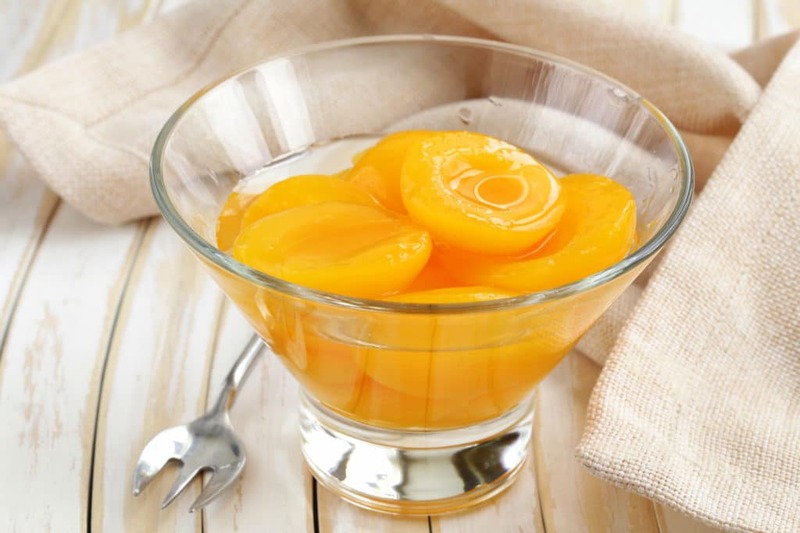 According to the final 2014 delivery report issued by the California League of Food Processors on September 8, cling peach deliveries this year amounted to 324,458 tons, down 11% from last year’s 364,376 ton crop. The 2014 peach crop in California is officially the smallest crop in the last 50 years (driven primarily by acreage reductions over the last five years). This year’s crop fell just 4.6% below the industry’s 340,144 ton Block x Block estimate with yield shortfalls in the Extra Early varieties responsible for most of the tonnage decrease vs. estimate. Peaches were $335, now $370 per ton. 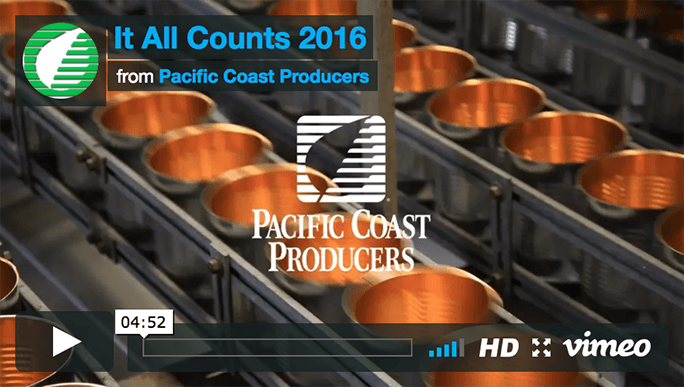 CA Peach bearing acreage has reduced by 37% from 2004 to 2014. The California Cling Peach Association’s field staff report that pullouts since June 1st currently amount to 743 acres. There will be more acres removed in the next several months although some growers may be holding off on making a final pullout decision to see if a significant price increase for 2015 materializes in the coming months. 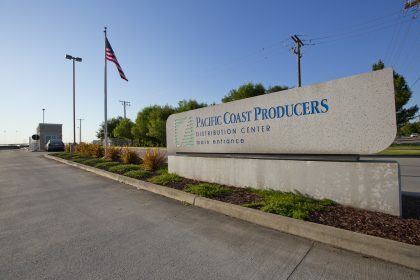 The California League of Food Processors reports that there are just 482 acres of 2012 plantings which will move into the bearing acreage category for 2015 so the industry’s total bearing acreage will continue to decline next year. CA Peach bearing acreage has reduced by 37% from 2004 to 2014. USDA officials have reportedly selected Alaska, Delaware, Kansas, and Maine as four participating states in the $5 million pilot program to allow schools currently participating in the USDA’s Fresh Fruit and Vegetable Snack Program to offer students canned, frozen, and dried choices in addition to fresh produce during the 2014/15 school year. 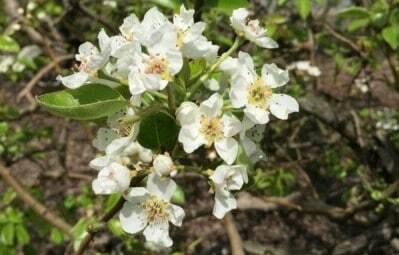 The Bartlett crop was estimated down slightly from the four-year average, according to the Pear Advisory Board. California Canning Pears amount to about 100,000 tons annually, which is more than half of the total Bartlett production, which came in at 170,000 tons last year. However, California growers have shifted more Bartlett’s to the fresh market, removed acreage, and replanted with more attractive crops like wine grapes, cherries, and nuts. Due to the decrease in acreage, some raw product prices were higher than $350 per ton, but this year’s negotiated cannery price has reached even higher in some cases. Harvest is well into the mid to late season crop and tomato quality is good. Yields are average to slightly above average. Harvest is complete in the Southern region for Organic and Pear Shaped tomatoes and yields in the South were slightly lower than expected. 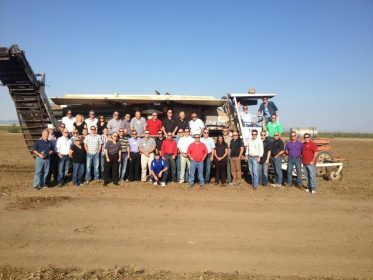 Of the 290m acres that have been planted in California, 288m acres are expected to be harvested. The water situation has had an impact on yields in some areas so far this season. The impact in the majority of cases has slightly reduced yield with a few growers reporting major impacts in different parts of the state. 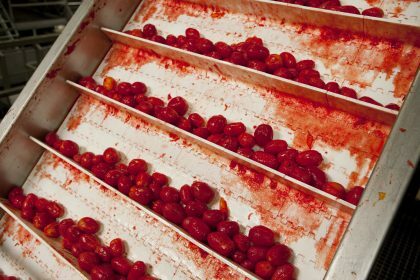 Harvest is currently underway for the majority of the major processing tomato regions around the world. Prior to harvest, the World estimate was for 39.120 mm metric tons. Based on current reports it appears that production figures will be no higher than that number and maybe a little less. As always, all figures will depend on good weather throughout the end of the season. Purchased and installing a new six pocket piston filler to improve filling accuracy, and line efficiency. Replaced our old wooden roof with new pre-fabricated galvanized steel construction.